It’s Athlete Q and A time! One of my favorite things to do is communicate with athletes and share what we have learned along the way to make our sport and athletic endeavors better. We have all kinds of questions covering where you can find the show, bike fit, doping with baking soda, meditation on the run or ride, FTP tests, other podcasts, hill repeats indoors, the best power meter and smart trainers, running with power and more! So take a look below to check out the questions. I have included links to these show notes to the question but the vast majority of the answers will be on the podcast itself. Q. 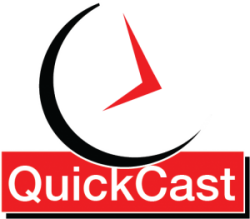 @KOMbikeTalk asks… Is the Endurance QuickCast on Google Play? Q. Should shoes be clipped into the pedals at transition. I swapped some tweets with @ppcone and @evarella about Managing shoes in a duathlon and triathlon transition. Q. Doping with baking soda, you can’t be for real? On @UKRunChat @MelissaKahn7 brought up “Soda Doping” I shared some information on serial loading Baking Soda in an effort to act as a lactic acid buffer and how Beta-Alanine is a better alternative for most. never fails that sometime during the night I shoot out of bed with cramping hamstring. Q. Also what do you think of aluminum handlebar stem with carbon bars for my commuter bike? Q. How can I automatically upload my training activities from Garmin Edge Bike Computer or Forerunner Watch? Q. Have you been on other Podcasts? Q. Is it possible to run with power? Q. Is it normal for indoor power to be different from outdoor power?